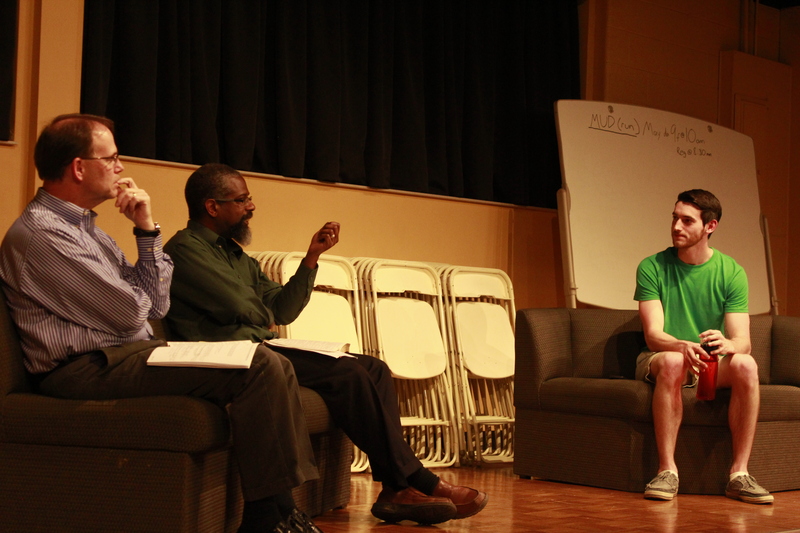 On Wednesday April 1, the Upper Union hosted a unique event called Seven Questions. 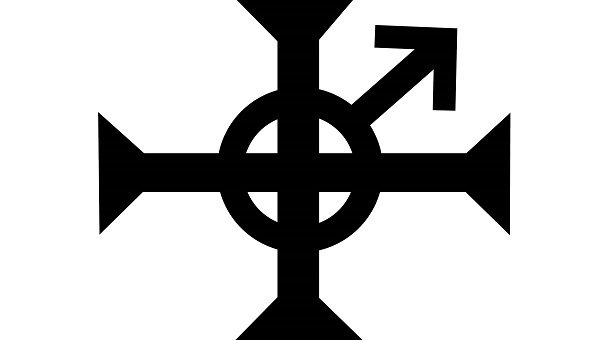 This was hosted by Jake Cannon of GCSA who invited the men of GC to come and talk with Kent Krober and Eugene Dunkley about the seven questions every man must face related to identity. 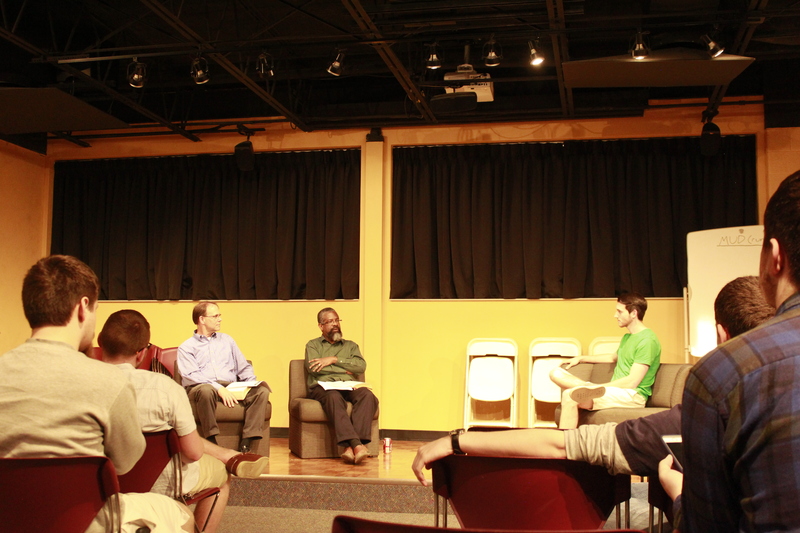 Cannon stated that his aspirations for this event were, “to help the guys around me answer a lot of question that we have concerning big topics like identity and temptation and a lot of times guys are ill equipped to answer questions like that…and to bring professors in and talk about seven questions around a theme that helps equip the guys that come with practical, biblical advice.” The discussion consisted of intelligent and thoughtful responses to the questions from both of the speakers. Question 1: Why did God create men? This first question is straightforward, but a pertinent one that is necessary to begin a discussion on identity. It is one that many people may ask or think about at some time in their life. Eugene answered this question by stating that we were created, “to be in fellowship with God…he has things that he does in this earth and the expectation is that I work with him to bring about his work.” We were made to be in partnership with God and to help Him do His good works on Earth. Question 2: Are we different than females? Question 3: If we are created and endowed with differences, how should those differences be expressed in the kingdom of God? Kent tackled this question by expressing that one of those differences is that men were created to lead. He also stated that, “one problem in our society today is that men have not led like God planned us to lead… He designed us based on who we are to provide, to protect, and our wives look to us to lead and take care of them and I don’t think that has changed.” Men are called to lead in times of need and that is something that will always hold true. 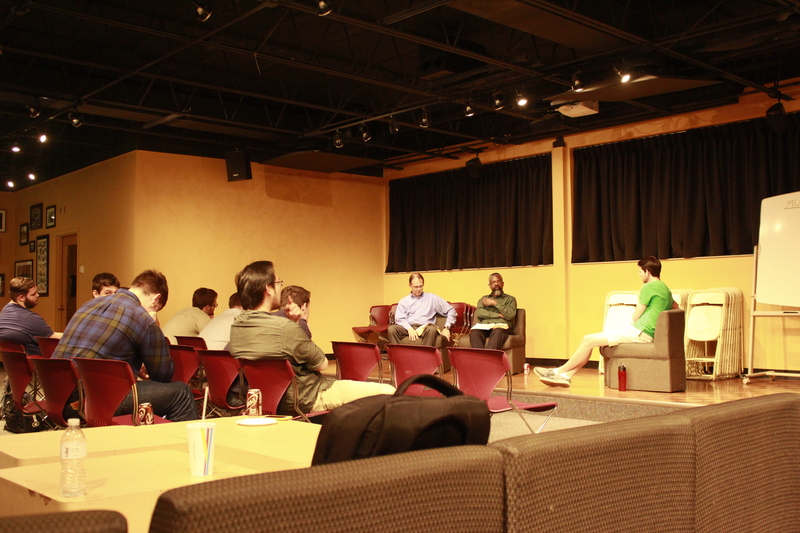 Question 4: Since men are called by God to be leaders, what does that look like for college students? Kent answered this by saying that we need to treat women special, to respect and treat them well, and show them what it means to be a good male role model and leader. For college students this can simply be holding the door and letting them go in first. Kent will let his wife go first for communion at church and walk and stand on the roadside when they go for walks. These may be simple things, but it is the little everyday things that can truly matter. Question 5: You are all professors, husbands, leaders, fathers, how do you keep everything balanced? This is a question that we all want to know the answer to. With life progressively getting busier everyone wants to know how to keep everything in place. Eugene answered this by saying, “that you need to have priorities that are important, that God has emphasized for us.” When things are out of balance we can feel it. We get frustrated and uneasy. We have to know how much time to allocate to each aspect of our lives. Question 6: How do you stay humble? This can be a difficult concept for people to embrace in an individualistic society. Many people tend to think and focus only on themselves. Eugene began by saying, “that humility is acknowledging our total dependence on God. Paul says that I can do all things through Christ.” Kent followed what Eugene said by quoting Romans 12, “Therefore, I urge you, brothers and sisters, in view of God’s mercy, to offer your bodies as a living sacrifice, holy and pleasing to God—this is your true and proper worship. Do not conform to the pattern of this world, but be transformed by the renewing of your mind. Then you will be able to test and approve what God’s will is—his good, pleasing and perfect will. For by the grace given me I say to every one of you: Do not think of yourself more highly than you ought, but rather think of yourself with sober judgment, in accordance with the faith God has distributed to each of you,” To stay humble we must all remember that it is through Christ that we do all that we do. Question 7: Often men come from broken homes where there is no father or mother figure in their lives, what is the importance of a male mentor and what do we do when our mentors fail us? This is an issue that is becoming increasingly worse with each passing year. Many men grow up without having a role model to look up to or they have one who fails them. With a mentor that fails us Kent urges everyone to remember, “we are fallen, we deal with the flesh, nobody’s immune.” This is important because many times we idolize our mentors to the point of putting them on a pedestal. We think of them as perfect and flawless. This, however, couldn’t be farther from the truth. We are human, so that means we can sin and fail. Overall the event went well and Jake felt that although there wasn’t as many people there as he would have liked he said , “I hope that the guys that came were blessed by what we were trying to do and I would definitely love to throw another event this semester around a different topic that relates directly to men, so I think that overall the event was a really big success.” If you didn’t have a chance to catch this event due to the housing meeting or prior plans that you had be sure to watch for a second installment of Seven Questions. Next articleWill All Timeless Disney Classics Turn into Live Action Movies?